The history of large-format lenses for photography, made by Nikon Corporation, goes back to 1929, when a batch of lenses for aerial photography were made. Since then Nikon produced many lenses for cameras using films in other formats than the 35 mm. cinefilm. 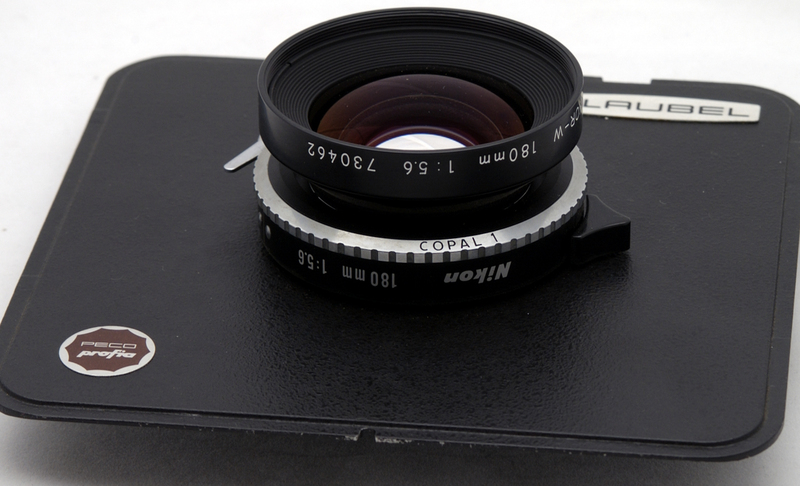 Just after WW II Nikon supplied the Aires camera (6 x 6 cm. 120/220 roll film) and from 1959 Zenza Bronica (producer of a Japanese copy of the Swedish Hasselblad) with lenses in focal lengths ranging from 40 - 1200 mm! 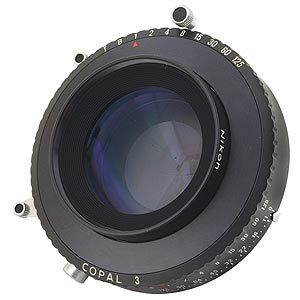 Most lenses were equipped with a built-in central shutter (Copal O, Copal 1, etc.) with shutter speeds from 1 - 1/500 sec. All lenses are made of glass melted by Nikon itself; some of them have ED-glass elements. The quality of these lenses is outstanding, even used at full open aperture. 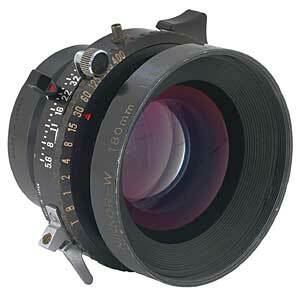 Most lenses are/were used on large format cameras, like Plaubel (see above), Sinar, Linhof and many others. There is no need to review all lenses individually, as all are just perfect! In the hands of a professional photographer they all produce unbelievably fine images. 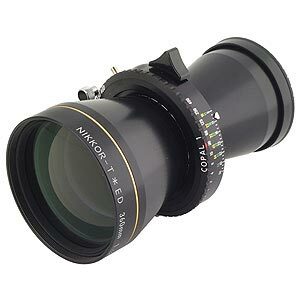 It is a pity that most lenses can not be used on digital large format cameras, just because there aren't (yet) adequate large format digital cameras! 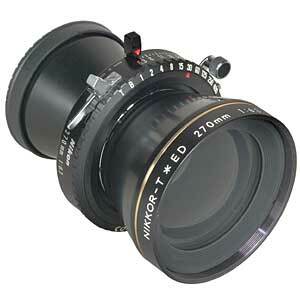 Nikkor large format lenses have in their name some prefixes, referring to their function. 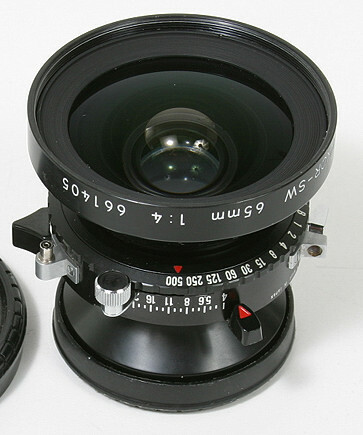 Nikkor-SW refers to the Super-Wide (wide-angle lens), Nikkor-W with a viewing angle 0f 60-74°, Nikkor-AM (APO-Macro), Nikkor-M to standard viewing angle, and Nikkor-T to Tele. For more information you could pay a visit to an interesting web site, dealing with large format photography. 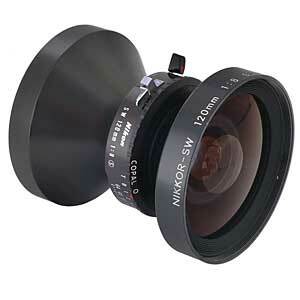 Some Nikkor lenses are reviewed.